A picture speaks more than many words. 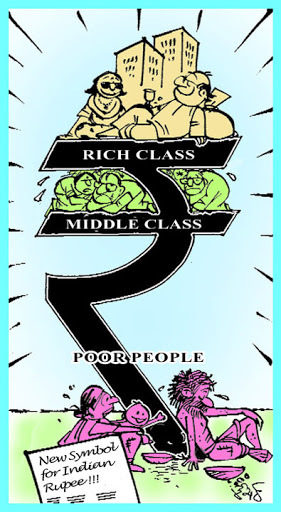 This picture is one such .. the impact of the new Indian Rupee Symbol. If readers are reminded of Rs 32,000 Crore CWG wastage or the 100 % salary hike for the MPs, I am not responsible. Also any resemblances to the Karunanidhis and Kalmadis and the Rajas is purely coincidental. Next Article Tamils have original thinking ..